Bionic Medical Devices: What's Holding Them Back? It takes money to build a Six Million Dollar Man, but funding has been hard to come by for companies developing bionic technologies. Bionic prostheses, which use electronics to restore biological functions that have been lost or compromised, are among the most exciting medical devices. Thanks to bionics, babies born deaf can hear, people who have lost their sight can see, people living with paralysis can walk, lower-limb amputees can run, and upper-limb amputees can type on a keyboard. Bionic medical devices make occurrences once considered miracles happen every day. The Ekso bionic suit enables people with lower-limb paralysis to stand and walk. Driven by Moore’s Law, bionic medical devices have made huge strides over the past half-century, says Maysam Ghovanloo, associate professor in the school of electrical and computer engineering at the Georgia Institute of Technology and founding director of the school’s GT-Bionics Lab. Miniaturization has led to lower power consumption, and combined with the rise of wireless technology these factors have bred the smart prostheses we see today—devices that can sense muscle contractions and send electrical signals to nerves. “Today, new medical applications are possible that nobody could even have imagined 20 or 30 years ago, Ghovanloo says. Still, bionic prosthetic devices have a ways to go. FDA’s granting of a humanitarian device exemption (HDE) this past February to Second Sight Medical Products’ Argus II Retinal Prosthesis System, hailed as the world’s first bionic eye, was met with much excitement. But although the device can bring people diagnosed with blindness caused by retinitis pigmentosa (RP) back to low vision, it’s nowhere near the level of sight people with healthy eyes experience. As Second Sight and other makers of bionic prostheses work to close the gap between biological organs and limbs and their prosthetic counterparts, they’re forced to clear not only technical hurdles, but financial ones as well. The Argus II is the culmination of more than two decades of research that Second Sight CEO Robert Greenberg started as a graduate student at Johns Hopkins University. The product is one of the lucky few to make it out of the lab. “For every 10 of these great new progresses, maybe one actually becomes commercially available,” Ghovanloo says. The rest stall out in the so-called valley of death—the period between a technology’s genesis and when it becomes commercially available. 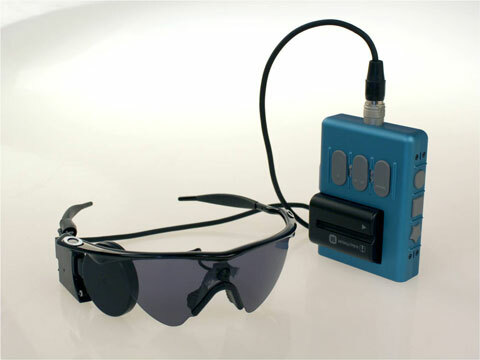 The Argus II Retinal Prosthesis System consists of an electronic device implanted in and around the eye, a video camera attached to a pair of glasses, and a video processing unit. Part of the problem is the dearth of venture capital (VC) flowing to medtech. According to Ernst & Young’s 2012 Pulse of the Industry report, VC investment in U.S. medtech firms last year was 10–15% lower than in the six years prior, and makers of bionic devices have felt the pinch. Only one VC firm, Versant Ventures, contributed to the more than $100 million dollars in private investment raised by Second Sight, says Brian Mech, vice president of business development. Ekso Bionics, maker of Ekso, a bionic suit that enables people with lower-extremity paralysis to walk, hasn’t received backing from any traditional VC funds, says CEO Nathan Harding. He says the company prefers not to use VC but nonetheless pitched to a few VC firms, which didn’t bite. “There’s still money available for IT ventures in the healthcare space, but hardware is having a tougher time,” Harding says, adding that access to capital is the No. 1 factor hampering innovation in bionics. “The going would be a lot faster if it was easier to prove to people that they need a bionics [investment] strategy,” he says. Many medtech firms—especially those in the early stages—are feeling the VC drought, but makers of bionic devices face particular challenges in attracting investment. “When it takes more than 10 years to get [the technology] to market and $125 million, most investors are going to say no,” Mech says. “No one has that kind of time horizon.” Second Sight, he adds, received a lot of its backing from medtech entrepreneur Alfred Mann, who also founded cochlear implant developer Advanced Bionics, and his friend Sam Williams, who was motivated to find a technological cure for blindness because he suffers from RP. Under the HDE, Second Sight’s Argus II can only be implanted in up to 4000 patients per year. RP affects only around 100,000 people in the United States, and the Argus II targets only those who have reached the end stage of the disease, a population of 8000–12,000, Mech estimates. “We’ll never do 4000 in the U.S. per year,” he says. Other bionic prostheses are aimed at relatively small patient populations as well. Amputees account for less than 1% of the population, says Karen Lundquist, director of corporate communications for Ottobock, a maker of bionic products including the C-Leg, the first fully microprocessor-controlled prosthetic knee. “The studies are really challenging when numbers are that limited,” she says, adding that there’s also no way to do a double blind clinical trial with an amputee. Bionic prostheses such as Ottobock’s X3 have enabled users to continue the activities they enjoyed before amputation. Makers of bionic prostheses also face challenges once they get their products to market. Some products might need a new reimbursement code, and obtaining one is time consuming. 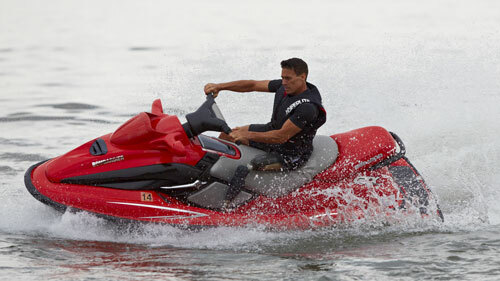 The process takes at least two years and can drag on for up to five years if the claim is refuted. Even products that manage to get a new code aren’t out of the woods. In addition, providers don’t know before they order a prosthesis that the device will be covered by insurance or Medicare. “Manufacturers don’t provide directly to patients; they provide to prosthetists, who are responsible for the billing,” says Joe McTernan, director of coding and reimbursement services for the American Orthotic & Prosthetic Association, a trade group that represents orthotics and prosthetics professionals. The prosthetists buy the technology and must then convince the payors to reimburse them. Össur’s Symbionic Leg combines a powered ankle with an adaptive microprocessor knee joint. While makers of bionic prosthetic devices face a number of challenges in getting their products to patients, they’re also finding innovative ways to overcome them. This past June, Össur, whose bionic prostheses include the Symbionic Leg and Power Knee products, announced an agreement with consulting firm Harrington Management Group (HMG) to provide customers the option of having pending Medicare claims evaluated prior to submission. “HMG does quite a bit of this kind of work in the durable medical equipment area, but this was their first agreement in the prosthetics space, and the services apply specifically to claims for Össur's bionic products,” says Össur spokesperson Laura Min Jackson. Ottobock and other companies have also achieved economies of scale by adopting a platform approach to product development. “Instead of building a new foot from the ground up, so to speak, we create variations by putting together our products,” Lundquist says. She cites the Triton Harmony, a combination of Ottobock’s Triton carbon fiber foot and Harmony volume management system, as one example. Ekso Bionics has found success in diversifying the industries it targets. Harding says medical still accounts for about two-thirds of the company’s business, but the rest comes from defense applications of its exoskeleton technology. The company licensed its Human Universal Load Carrier exoskeleton to Lockheed Martin for military development in 2009, and Harding says the military business has “absolutely” helped Ekso Bionics weather the softness in the U.S. healthcare market. It has also helped the company expand the medical applications for the Ekso exoskeleton. A version of the product that combines elements from both the medical and military software packages can now be used by patients rehabilitating from stroke. There are also signs that the funding climate is improving. VC investment in medical devices and equipment reached its highest level in nearly two years last quarter, according to the MoneyTree Report by PricewaterhouseCoopers and the National Venture Capital Association based on data from Thomson Reuters. Harding says he has also heard talk of VC firms forming funds dedicated to investing in bionics. “They’re coming, just not yet,” he says. The looming question is whether they’ll come fast enough for the early-stage companies developing these innovative technologies—and the patients who desperately need them.